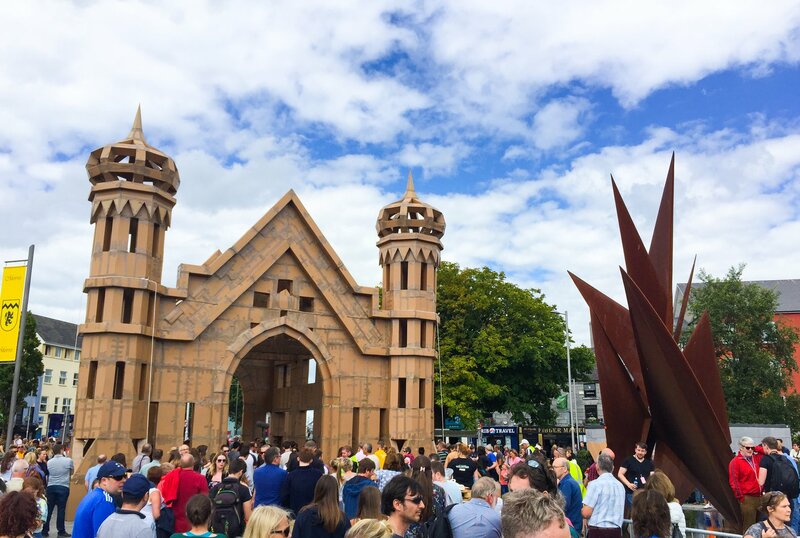 The Galway International Arts Festival attracts a whopping 200,000 ticketing punters to the streets of Galway each year and has been growing ever since its inception forty years ago. The festival is a combination of music, visual art, theatre, street performance and topical lectures . The Arts Festival happens every year in the middle of July and has many free events. The festival has played a very significant role in putting Galway on the map among the global arts world and is an integral part of allowing the arts community here to grow and flourish. The quality of acts that visit from around the world as well as some local talents are immense. Local Tony Award-winning theatre company, Druid are a festival favorite and continuously showcase their best work at the festival. Many abandoned locations around Galway are utilized as temporary venues for art exhibitions and each year a massive marquee tent pops up just beside the Galway Cathedral for the bigger music acts to play in. There is a wide variety of events taking place and there is sure to be something that tickles your fancy during the two weeks in the middle of the Galway summer.